Excellent Promo for Unrest! Everyone with ME will be able to relate! 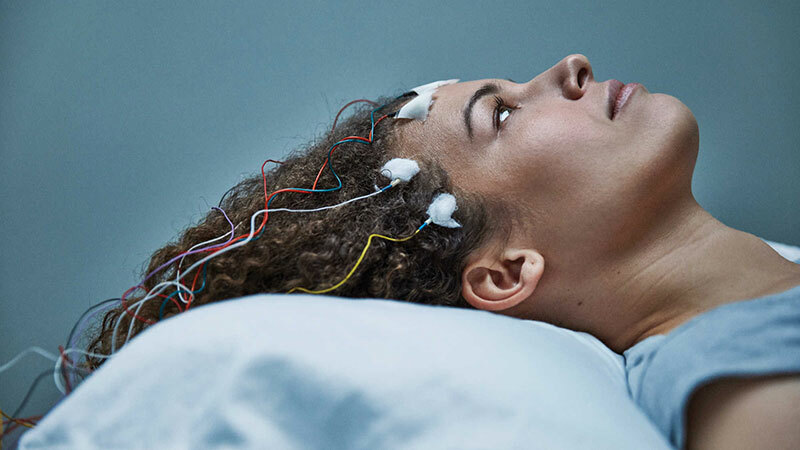 Twenty-eight year-old Jennifer Brea is working on her PhD at Harvard and months away from marrying the love of her life when she gets a mysterious fever that leaves her bedridden and looking for answers. Determined to live, she turns her camera on herself and her community – a hidden world of millions confined to their homes and bedrooms by ME, commonly called Chronic Fatigue Syndrome. Unrest is, at it’s core, a love story. How Jen and her new husband forge their relationship while dealing with her mysterious illness is at once heartbreaking, inspiring and funny. Unrest is made by an award-winning team and is supported by the Sundance Institute, Chicken & Egg Pictures, the Harnisch Foundation, BRITDOC’s Good Pitch, the Tribeca Film Institute, the Fledgling Fund, IFP, and over 2,593 Kickstarter backers. It premiered in the documentary competition at the 2017 Sundance Film Festival, where it won a Special Jury Prize for editing. It has since screened at SxSW, CPH:DOX, HotDocs, River Run (Audience Award for Best Documentary Feature), Nashville Film Festival (Grand Jury Award for Best Documentary Feature), and the Sheffield Doc/Fest (Illuminate Award), among other festivals. It will be released in theaters and for community and campus screenings beginning in Fall 2017. In the US, it will be broadcast on PBS’s Independent Lens in early 2018. Another angle - a close-up one - on the latter part of Scott's presentation to the Health Minister. "I am committed - I certainly want to pay closer attention to this." About half of the questions asked at the meeting were all ME-related so our community was well represented. The Ottawa meeting is now being planned. Thanks to Kristy for attending the event and for supporting the ME community in the many ways she does, including taking and sending this video clip to us. In this video clip, another advocate representing our community, Lesia Lane, eloquently describes the 21 doctors and over 40 visits to physician's offices she experienced before receiving a diagnosis of ME. Ensuring doctors have access to sound criteria such as the CCC, would have shortened that lengthy process considerably. Thanks for speaking for so many Lesia! Here's Scott at the mic laying out the current bleak situation for ME in Canada and comparing it to the lucratively funded field for HIV. As reported earlier, Minister Petitpas Taylor has invited Scott from advocates to a meeting in Ottawa to discuss the situation further. Here's Scott at the mic laying out the current bleak situation for ME in Canada and comparing it to the abundantly funded field of HIV. Again, thanks so much everyone for risking your own health today to MAKE a DIFFERENCE for the rest of us!